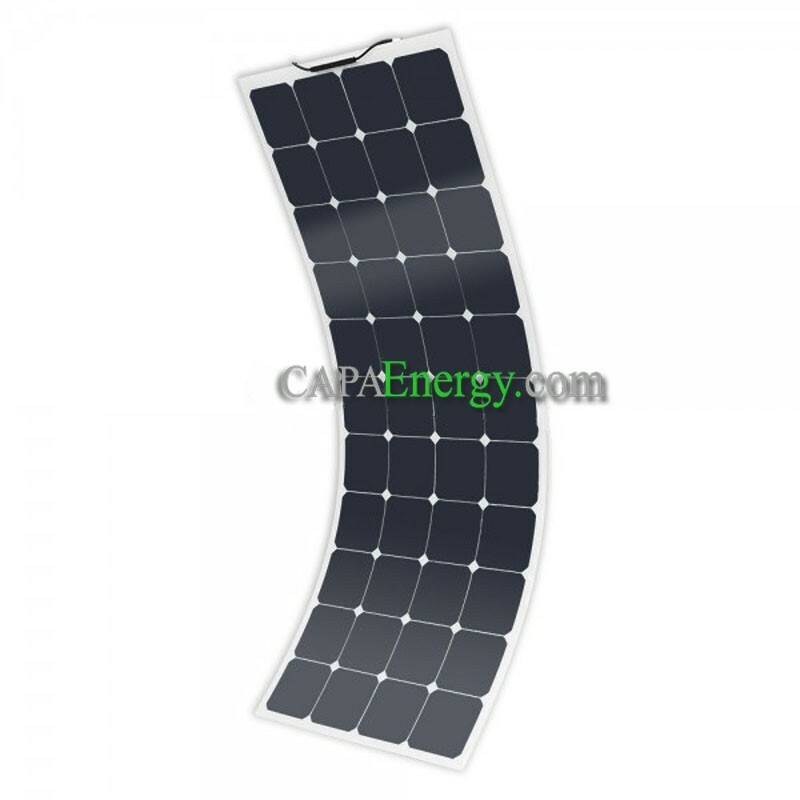 The flexible solar panels MX FLEX 130Wc, are adapted for marine, camping or nomadic use. You can also use them in other circumstances such as isolated sites. Perfect for recharging the batteries of your boat, motorhome or to power an autonomous system. Waterproof, they resist very well to saline, wet and bad weather! Our MX FLEX panels can be made to measure. The panel fits perfectly to your boat or vehicle. 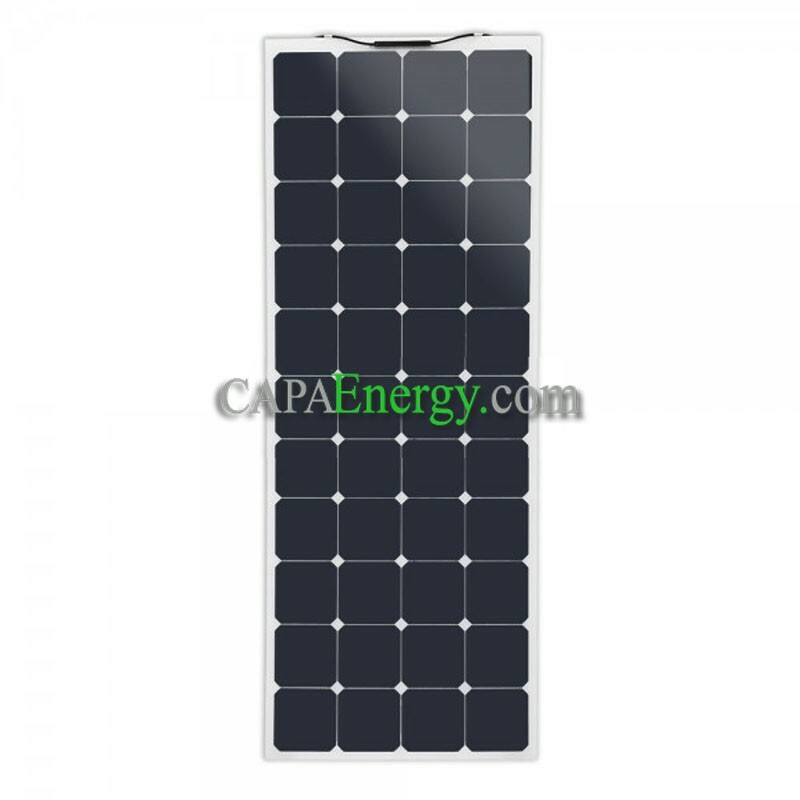 Contact us by e-mail to know the price of our personalized panels. Allow 3 weeks for custom manufacturing. Thanks to its flexibility and its extremely light weight (770g), you can fix it easily on the roof of a boat, the roof of a motorhome or even the hood of a car ... its limits are those of your imagination . The waterproof junction box attached to the front of the panel and its connectors ( MC4 ) will allow you to connect easily and easily. With its high-performance Back Contact monocrystalline cells (22%), MX FLEX panels have the best in photovoltaic technology! 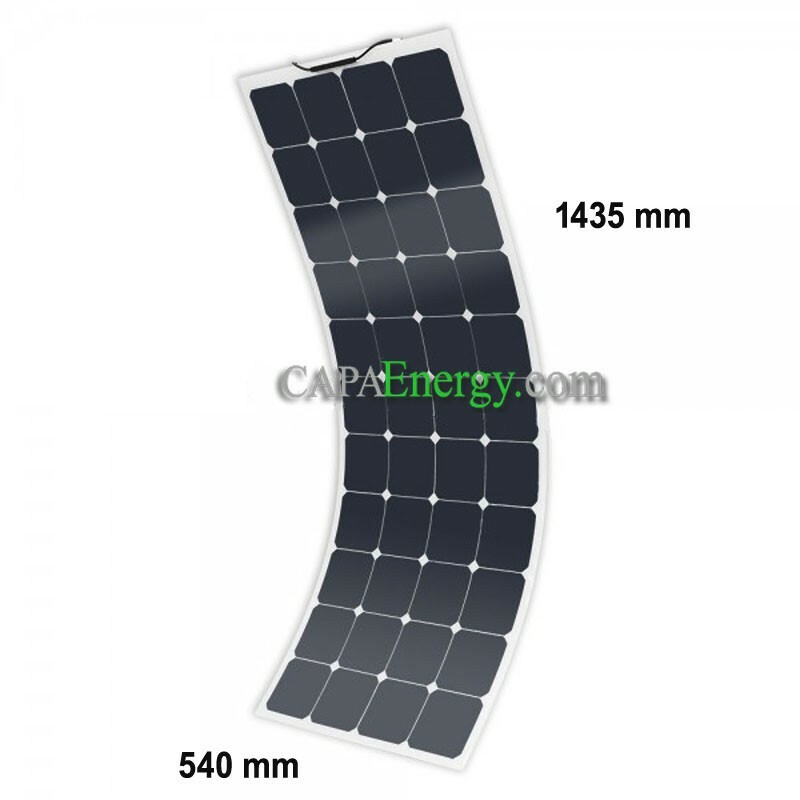 This type of cell optimizes the performance of the panel when it is in low light conditions, which optimizes the performance of the panel regardless of the weather conditions, throughout the year. 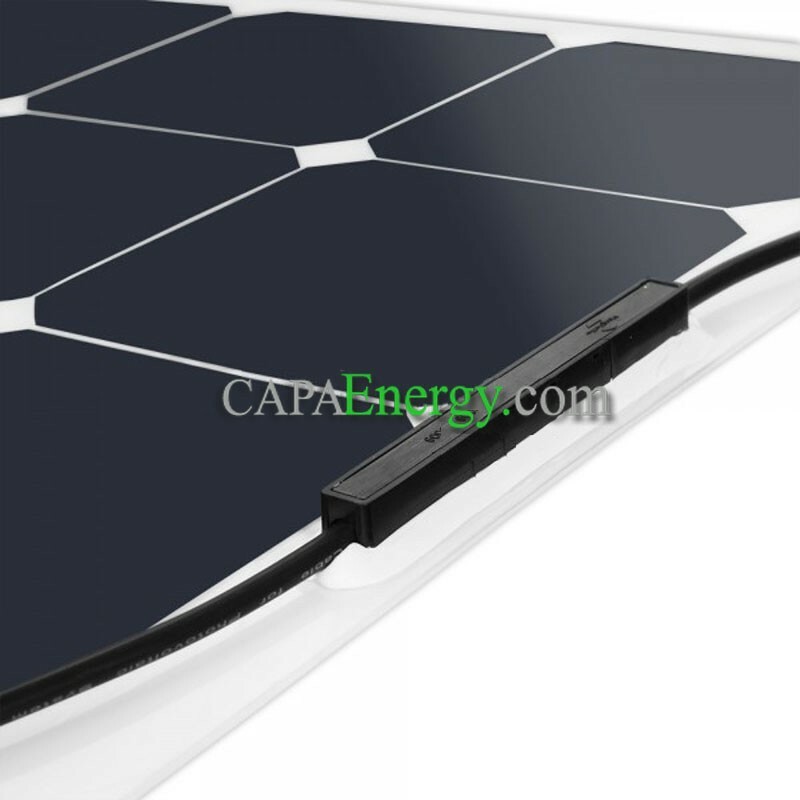 Solar panels with Back Contact cells are particularly suitable for installations not connected to the grid thanks to their optimized efficiency.